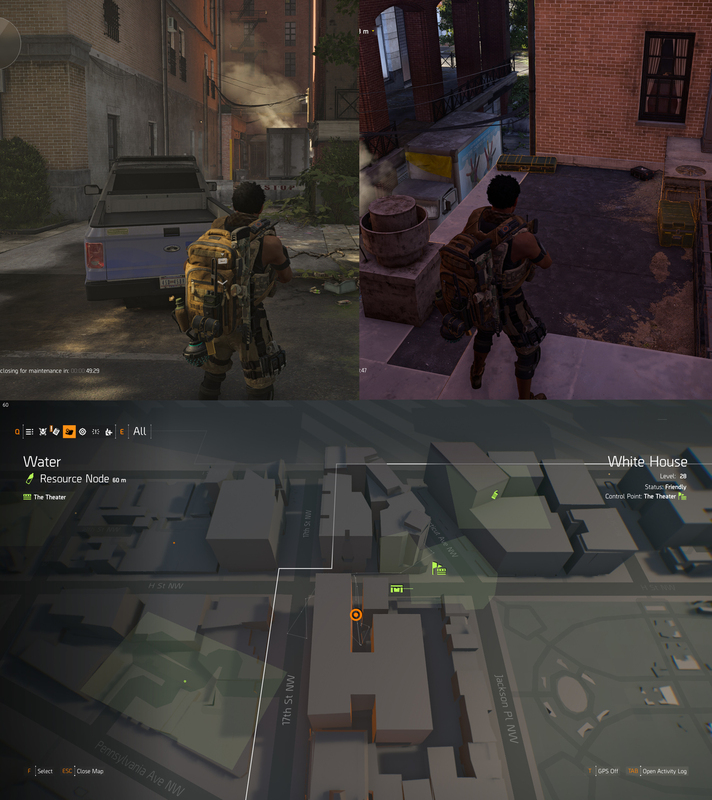 The Division 2 has plenty SHD Tech Cache around Washington DC, but some aren't marked, and 4 are SHD Tech Cache are hidden within the White House boundary. While there's only 4 in total, this guide should save you plenty of time looking. 1. Head to The Vault Control Point and run immediately east until you meet the intersection of H St NW and 16th St NW. Just off 16th St NW, there's a gate on your right-hand side if looking north. 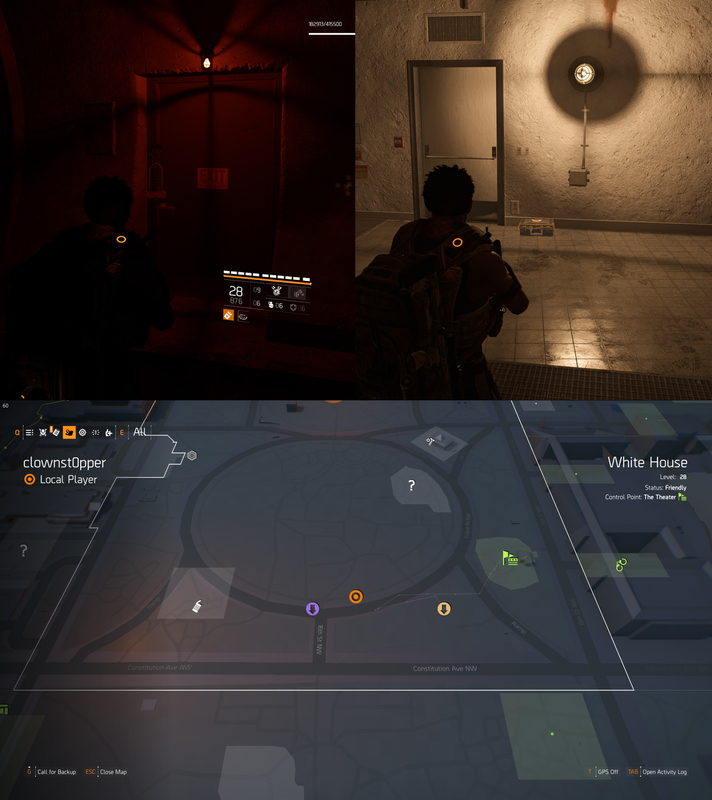 Climb it, and then climb the platform in front of you (it has yellow markings) and the SHD Tech Cache is immediately inside the room. 2. Head to the sewer entrance that's immediately infront of the helicopter (we've marked this as purple for you), by traveling from the Ellipse Fuel Depot Control Point. Slide down the ladder, walk straight ahead and there's a door under red light that's locked. 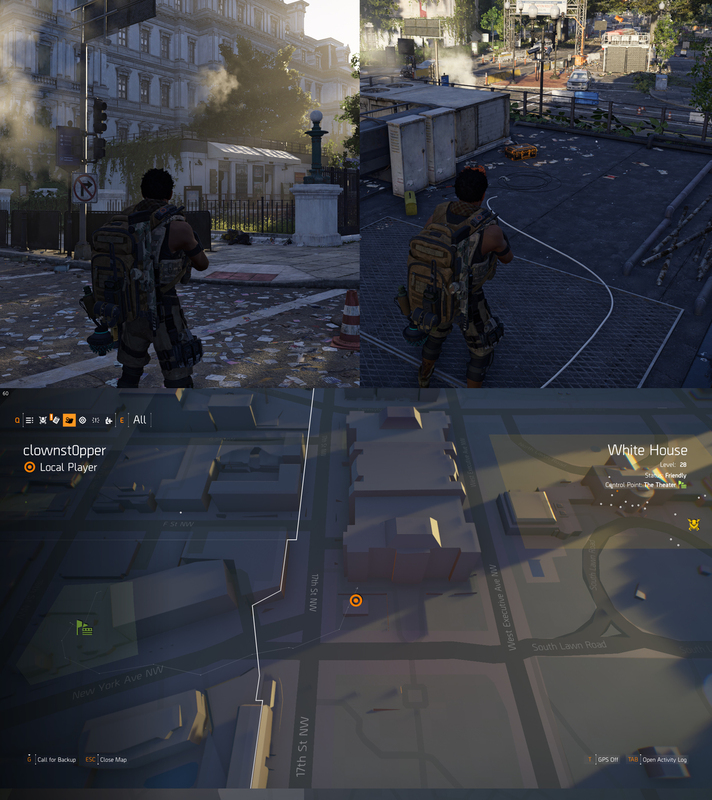 Shoot the lock and the SHD Tech Cache is inside. 3. Travel from Haunted House Control Point East towards the intersection of 17th St NW. In front of you is a small shop, just climb onto its roof from the rear entrance, for the SHD Tech Cache. 4. 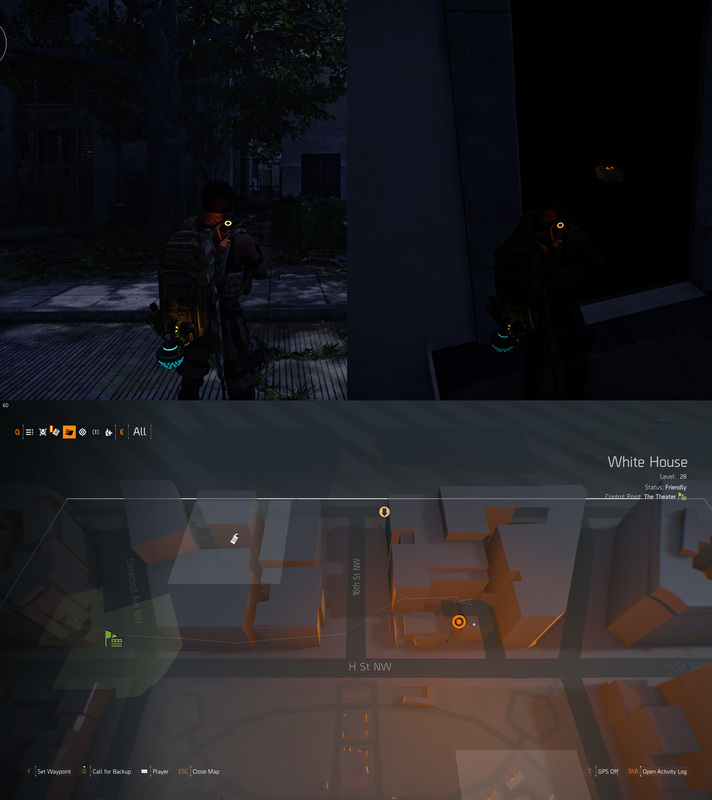 As a final location, you can either run immediately north up 17th St NW, or return back to The Vault Control point. Where this street meets H St NW (the corner, opposite The Vault) head to the alley that leads off the road, between the building. You'll see two STOP barriers, and a white van. Jump on the white van, climb up onto the ballcony, and follow it left and around until you see the SHD Tech Cache.